20/20 is good vision, but not guaranteed comfortable vision. Vision care catered to making your vision clear and comfortable and keeping it healthy is our mission. Routine eye checks are a part of a healthy lifestyle. Vision is constantly changing from infancy on up. Children require checks to make sure vision is developing properly. School, work, on the computer, at play, all requires different visual demands. Studies are now showing that the blue light from phones, TVs, and computers/tablets may even disrupt our sleep patterns. Make sure your visual potential is always at the maximum comfort level! Dr. Tamami Candi Kimura was born in Tokyo, Japan and grew up in Bakersfield, CA. She received her Bachelors of Science in Biology from the University of California, Santa Barbara in 1995. She continued to earn her Doctorate degree in Optometry from the Illinois College of Optometry in Chicago in 2002. Her diverse background has enabled her to also speak in Japanese, Spanish, and American Sign Language. She is currently a member of the American Optometric Association, the Asian American Optometric Association, the InfanSEE program, and the California Optometric Association. 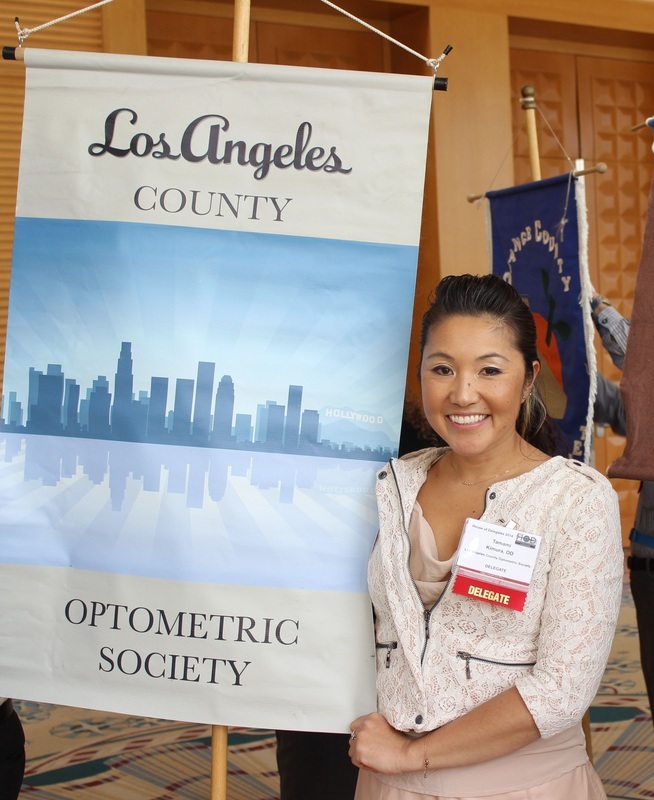 She serves on the Board of the Los Angeles County Optometric Society and of the California Vision Foundation. ​She is politically active advocating for all patients at the state level in Sacramento and at the national level in Washington D.C.
She enjoys tennis all year around in the southern CA's beautiful weather, snowboarding in the winter, and Salsa dancing when the music begins.